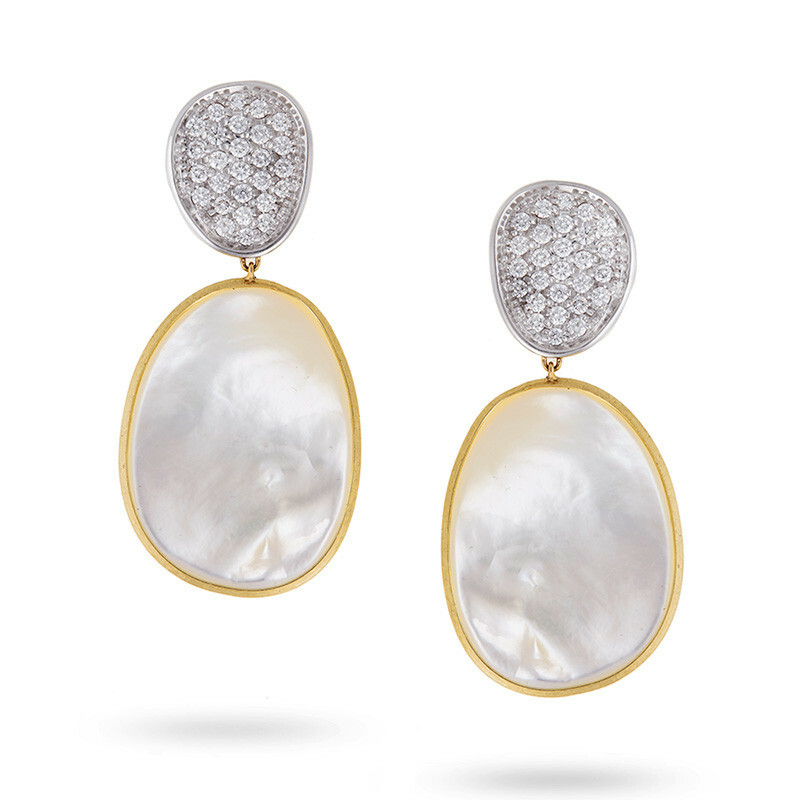 These Marco Bicego drop earrings, part of the designer's Lunaria collection, are dazzling and distinctive. Crafted in 18K gold, a white gold pave diamond petal supports a white Mother-of-Pearl leaf set in yellow gold; both jewels are framed in hand-hammered, hand-engraved precious metal. This special pair of earrings is for someone special.